Britney Spears' little sister Jamie Lynn marries the father of the six-year-old daughter in New Orleans. 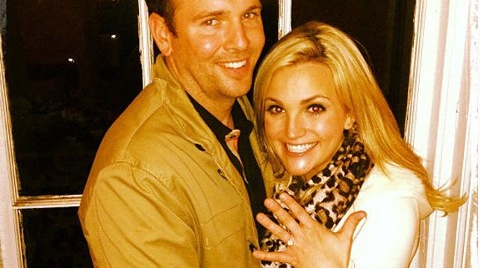 Jamie Lynn walked down the aisle with her father Jamie Spears. Jamie being walked down the aisle by Jamie to go marry Jamie. Only in Louisiana. A source added that Jamie Lynn was emotional and cried during her vows. Jamie Lynn's five-year-old daughter Maddie was right by her mother's side as the flower girl and Britney's boys walked together as ring bearers. There were about 150 to 200 people present for the nuptials and guests, along with the newlyweds, enjoyed a five-tiered wedding cake. As the new Mr. and Mrs. Watson departed the reception, guests blew bubbles at the happy couple. Jamie Lynn and James then made their way into a limo, where some champagne was waiting, and headed to several local bars. That was the best decision Jamie Lynn made (besides having her baby) got the hell out and away from the cesspool of Hollywood.